SKK now outs Platinum Edge, a smartphone that is packed with capable display and designed with Galaxy S5-ish dimpled back cover. This device hits below Php 3,000 which suggests that it will be a good contender to the local entry-level space. The SKK Platinum Edge smartphone packs a 4.5-inch HD panel which is good enough to give crisp and clear displays. SKK markets the device with clear IPS screen as its marquee feature in the Php 2,999 standpoint. 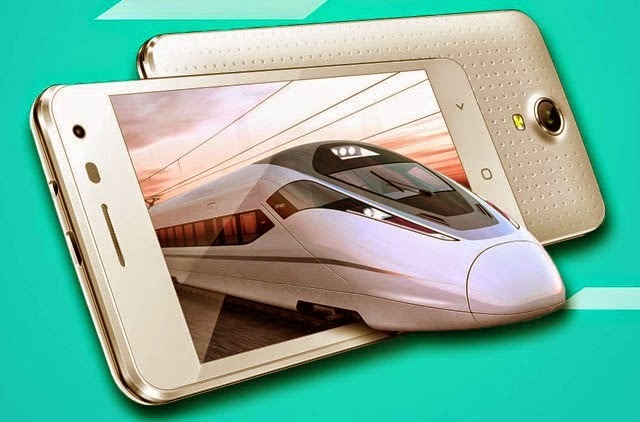 The device runs on MediaTek MT6582M quad-core processor CPU on the speed of 1.3GHz and supported by 512MB of RAM. With Android KitKat OS out-of-the-box, the phone can still perform even with less RAM on light to moderate use. However, expect a sluggish performance when you do gaming and social media browsing at the same time. Across the board, you will get 4GB built-in memory with microSD support of up to 64GB. There are 5MP rear and 2MP front shooters which you could use for your point-and-shoot moments this holiday season. Both sensors will still going to give you fair quality photos for your Facebook and even Instagram activities. There’s also a 3G connectivity for mobile internet; and 1800 mAh battery to power the device. It’s not that capacious like other monster phones but considering its light specs, it’s not going to be heavily taxed. The price is, once again, attractive at Php 2, 999. SKK Platinum Edge is set to challenge other entry-level phones in the local market.